Wine lovers will be thrilled to hear that six South African wines now form part of the exclusive ‘First Growths’ tastings, held by an international private members club, The Parmigiani White Club (TWC). 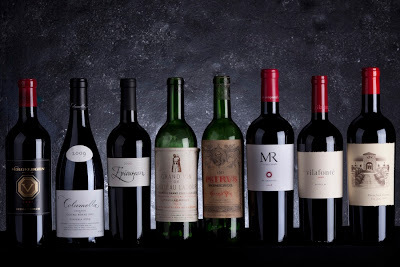 Each year this exclusive club conducts tastings all over the world and earlier this year, for the first time ever, South Africans were introduced to the ‘First Growth’ wines series. As the wine world is ever-evolving, today the term ‘First Growth’ has come to mean not only to Bordeaux wines, but indeed ‘wines of the most exceptional quality’. 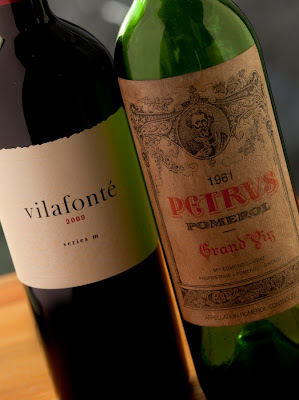 The internationally acclaimed non-profit private members' club, TWC, confirmed that the six South African wines that professional tasters picked to form part of the ‘First Growths’ series are, MR de Compostella 2008 (97), Vergelegen V 2007 (95), Villafonté Series M 2009 (95), Waterford Estate The Jem 2007 (96), Epicurean 2006 (95) and Columella 2009 (95), and will all be introduced on the tasting nights. These will accompany the legendary Vin de Constance from Klein Constantia. It comes as no surprise that South African wines are ranked among these illustrious ‘First Growths’ wines and we are delighted to host two tastings in SA this year. We promise to those attending that the evenings will be unforgettable, glittering black tie experiences,” says CEO f the exclusive Wine Club International, Malene Meisner. “Wine lovers have recognised that wines from the South African Cape Winelands rank among the best in the world and guests will have the exclusive opportunity to taste some of the world’s best wines, champagnes and sparkling wines as ‘First Growths’ are considered among the most sought-after wines in the world,” Meisner concludes. Over the past few years some of the top South African restaurants and hotels have regularly found themselves among the top 50 restaurants in the world. It is thus gratifying to know that South Africa’s culinary expertise is keeping abreast of the country’s winemaking expertise. After all, wine and food are inseparable twins. The Parmigiani White Club will travel to Vienna, Hong Kong, Tokyo, Istanbul, Mumbai, Zurich, London, Madrid, Chicago, New York and Burgundy, where the six SA wines will be introduced to wine tasters and wine lovers from all over the world. The Club looks forward to host an elite dinner and tasting in Johannesburg on the 25th October at The Saxon. Cape Townians will also be treated to an exclusive dinner and tasting at The Taj on the 26th and on the 27th October TWC will host a lunch at Delaire Graff Estate. The language of wine is internationally understood, and these six wines will prove to be the most worthy ambassadors.